Yukata Sone received his formal training as an architect, but soon discovered that his penchant for fine details went far beyond merely designing life-size buildings. 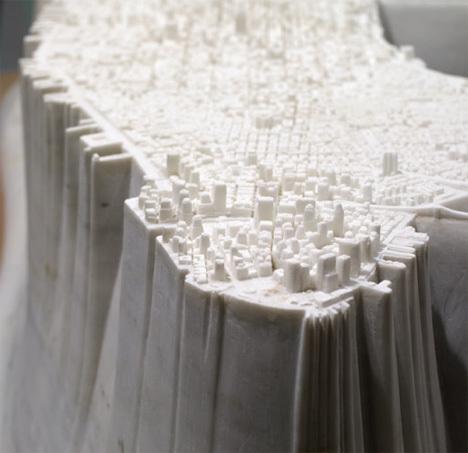 He began working in marble, carving impossibly detailed landscapes from the cold stone and creating fascinating little worlds. 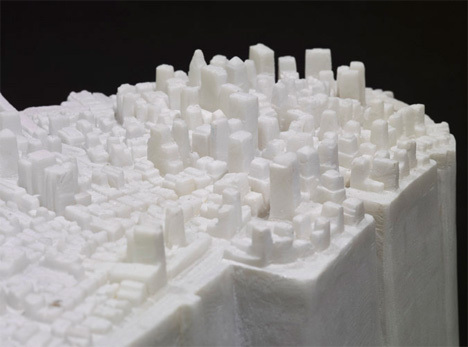 This particular carving, known as Little Manhattan, weighs over 2.5 tons and took the artist ten months to complete. 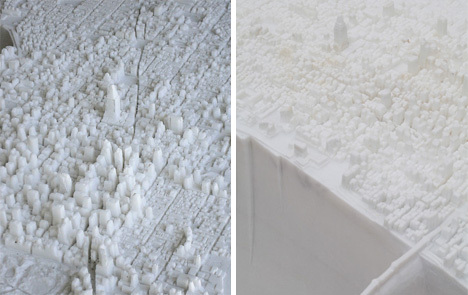 The piece is a frozen moment in time, an unmoving Manhattan that looks – from afar – as weightless and insubstantial as a piece of linen. But to approach the massive recreation is to understand just how substantial it really is. Using Google Earth, photos, and helicopter rides over the city, Sone created a vision of Manhattan that is at once majestic and almost biological in its complexity. The incredible level of detail invites one to get lost among the streets just as you might get lost in Manhattan itself. Each building, each bridge, each tiny street are all represented faithfully in this intricate carving. With the skill of ancient sculptors, Sone has imbued the cold marble with the kind of man-made/biological life that only a vivid city can call to mind. 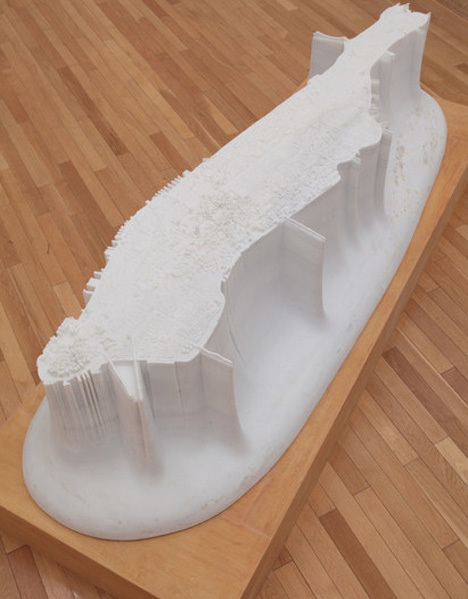 Little Manhattan, along with many of the artist’s other pieces, was included in Yukata Sone’s solo exhibition at David Zwirner in late 2011.